This article was contributed by Annella Mendoza. “Can’t find anything!” – How did that happen? For many institutions, metadata was the automated catalog information to describe books, museum objects, other collections to enable library users and researchers to locate resources for their own needs. For information professionals, it was to describe content and track item movements. Metadata became more critical as the volume of digital assets grew large with the resulting need to review and repurpose specific works. There are cases when consulting the in-house library / archive became problematic. I’ve experienced hearing producers, researchers, and writers say they can’t find anything. The librarians equally claim that either the works were not submitted to them or that its creators have not submitted enough information to guarantee a quick and accurate retrieval. Many instances show that there seemed to be a disconnect between the catalog information and the accessibility of assets. Not a few creators developed a mistrust of library / archival systems or its keepers, and resorted to forming their own “personal” library to access their own works. I was told of an extreme situation when an organization undertook a large-scale heritage project, it resorted to an “amnesty” call for the return of works, no questions asked. 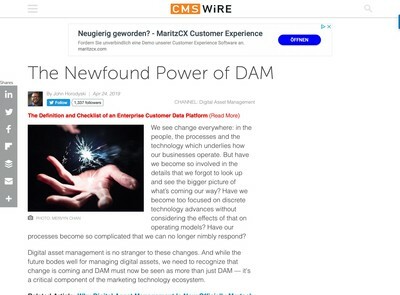 Clean, reliable, and consistent metadata are integral to the successful adoption of DAM by its users across the organization. 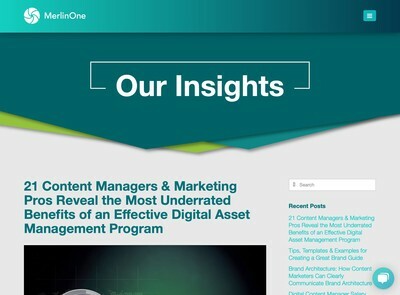 Taking into account these requirements can better assure the findability of assets resulting in user satisfaction, time saved in searching, greater variety of images used; in short, a superior product resulting from the re-use or repurposing of assets. To information professionals, the need to adhere or adapt existing metadata standards is self-evident and necessary. Depending on the organization, the articulation of standards by other DAM users may range from “common sense”, “long-time practice” and “mandatory information requirements to be submitted”. Nevertheless, it is better to mention to a group of DAM of users in an organization, for example, that there are at least one hundred five (105) standards in the Metadata Universe. It should be impressed upon them that “common sense” actually means a worldwide or international consensus, rigour, discipline, structure, rules. This illustration of the Metadata Universe, as presented by Jenn Riley, is meant to guide planners or strategists in deciding the appropriate metadata standard to go with. It is imperative that metadata standards are adopted to facilitate a common language or understanding of terminologies that cuts across departments and countries. It should interest senior leadership that the adherence to standards has its implications on manpower and technical resources, in addition to efficient information exchange. Different members of a DAM community tend to focus on one and not more than two types; but there is at least one member of that group – likely, the information professional (librarian / archivist / curator) – who would be concerned with all 3 types. 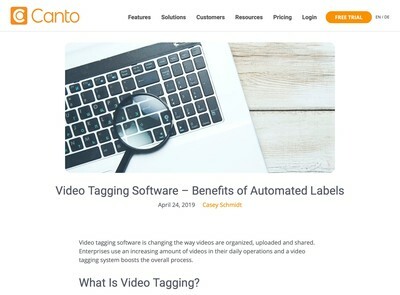 They are expected to have the best understanding of the metadata standard including the taxonomies and controlled vocabularies generated, and incorporated in the DAM. They regulate the metadata practice of the DAM users and interface with creators, technologists, marketers, and management. In other words, the information professional brings the DAM user community together for a cohesive metadata practice, essential to the findability of assets. The Metadata Team – Whose Job Is It Anyway? In the days of linear or pre-DAM workflows, the work of metadata maintenance (or cataloguing) was usually the sole responsibility of the librarian / archivist. This situation presented problems resulting from submission of works long after completion, if at all, and compounded by incomplete information needed for cataloguing. My experience was that the longest time lag was the turn-over of any work, in any version, to the organization’s main library / archive. The longer the delay, the higher the risk of losing vital information; consequently, poor quality metadata became all too common. The situation of users not finding what they want or need from the library was not unusual. 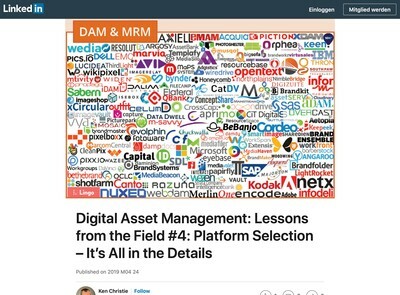 Presently, the accessibility of digital assets in a DAM system by various authorized users presented the potential that library backlogs could be minimized if not eliminated altogether. The archiving of assets at the moment of creation was achievable; but having only the asset in the DAM was a job half done. Providing robust metadata on the assets required changes in workflows and governance to boost accountabilities of those responsible for the assets in every stage of its lifecycle. These information types or fields are by no means complete but indicate the variety, complexity, and robustness of the metadata if all these resided in the DAM. Except for some of the technical data that are system-generated, can all this information be keyed in and maintained by only one person or one group (of librarians?) With no backlogs? A team approach to metadata maintenance establishes the common ground on which a firm understanding of the information needs and protocols of each group or each department is recognized and accepted by all other groups who need the DAM. A team approach promotes early user adoption of the DAM, more readily than an individual attempt to persuade co-workers to use the DAM. For example, the team, as a group can undertake search tests and training of users. Further, a team consensus will be more successful in making periodic changes in its metadata maintenance protocols or governance. Team composition and size can vary depending on the business needs of the organization. It cannot be over-emphasized that if staff of various departments is expected to create and update metadata, this task should be designed to be very simple and straightforward, not taking more than a few seconds to complete for each asset. The use of templates, menus, system-generated metadata, batch processing, and other “short cuts” should be maximized to ensure consistency and accuracy. Information professionals may understandably take a bit longer if they are expected to audit or regulate metadata, aside from adding to their own layer. The simplified process will likely guarantee greater user adoption of the DAM. It is expected that organizations are dynamic and change is inevitable. That change can impact the metadata practices that the Team may have in place. For example, the Team may have opted for a simple metadata practice to ensure quick user adoption. In time, as the business grows and expands, the information needs may be more complex. In his article, Metadata maturity helps you maintain business relevance, John Horodyski prescribes a metadata maturity model that can help team members assess their practices and adopt strategies to meet business needs. Businesses who have adopted metadata strategies were cited in Your Content Needs a Metadata Strategy. Without strategies, author Michael Andrews warns of the “stovepipe systems”, a regressive movement when metadata serves only individuals and not the entire organization. The Metadata Team will be kept busy, as stewards of an organization’s data. Their presence now more than ever, makes more sense for any business wanting to maximize the use of their assets, turn out superior products, with meaningful return on investment.